The Supreme Court on Thursday observed that the Tamil Nadu Governor can consider the mercy petition of A G Perarivalan, a convict in the 1991 Rajiv Gandhi assassination case. "it appears that an application under Article 161 of the Constitution has been filed before the Governor of Tamil Nadu by the respondent A.G.Perarivalan @ Arivu. Naturally, the authority concerned will be at liberty to decide the said application as deemed fit". On August 20, 47-year old Perarivalan alias Arivu had told the apex court that no decision has been taken as yet on his mercy petition filed before the Tamil Nadu Governor over two years ago. He was charged with supplying a 9-volt battery which was allegedly used for the belt bomb that had killed Gandhi and 14 others. "The charge sheet of the CBI (Multi-Disciplinary Monitoring Authority -MDMA), which was constituted pursuant to the Jain Commission report for further investigation of foreign hand in the assassination of Rajiv Gandhi, is still pending and the real conspirators are yet to be found. 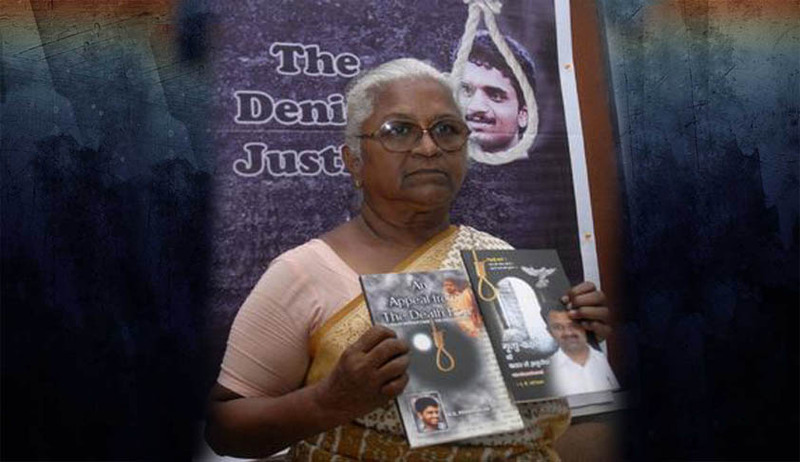 In May 1999, the apex court had upheld the death sentence of four, including Murugan, Santham, Perarivalan and Nalini, commuted the death sentence of three to life, and freed the remaining 19. The death sentence of remaining three convicts were commuted in February 2014 by the apex court on the ground of inordinate delay of 11 years in deciding the mercy petitions.